4 : Turn left in the direction of Holmstrup (500 m after going under the railroad) and go 400 m.
5 : Turn right along Planteskolevej and go until no 51 where we live. 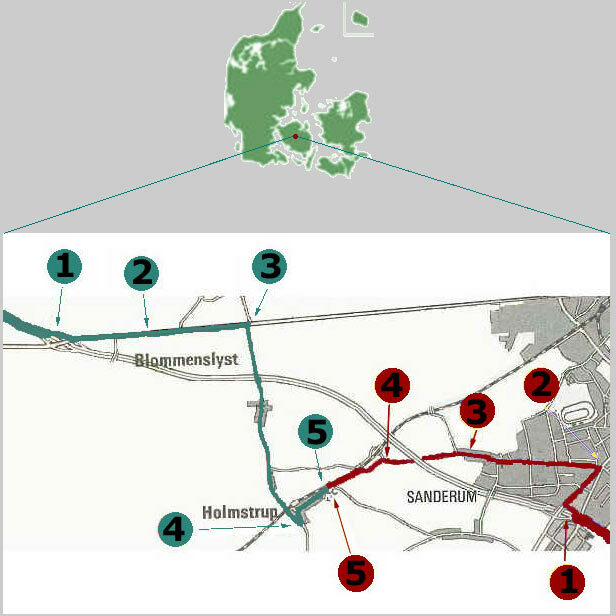 2 : Go about 1 km in the direction of Odense and turn left at the second stoplight and go about 2 km. 3 : Continue straight ahead in the roundabout and go about 2 km..
4 : Turn left in the direction of Holmstrup and go about 1 km. 5 : We live in no 51, behind the beautiful hedge and the wonderful trees.